Here are two fun games that are excellent for addition & subtraction practice! 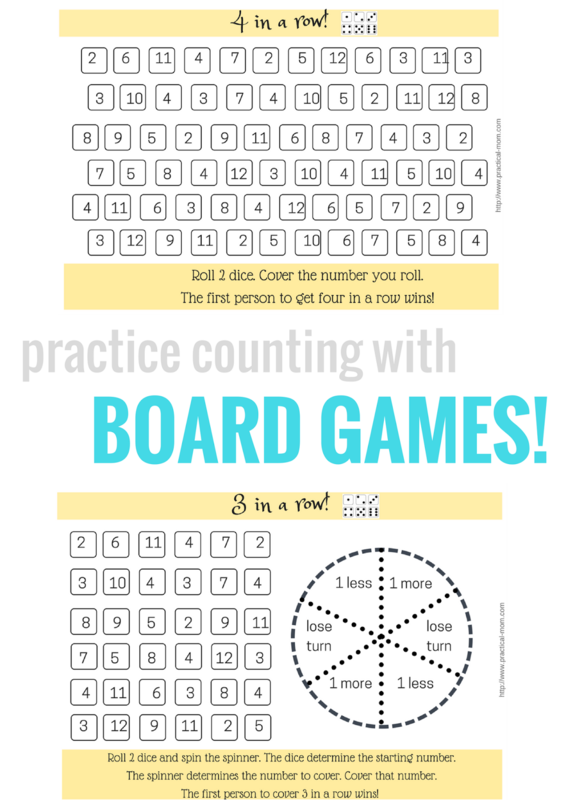 Roll Dice and the sum of the two numbers determines what number to cover. First player to get 4 numbers covered in a row wins! Roll the dice and the sum of the two numbers determines the starting number. Spin the spinner and get the final number to be covered. First player to get 3 in a row wins!